iTunes is the primary iDevice file management and syncing tool of many iOS users. While it gets the job done pretty well, this software is not perfect and sometimes malfunctions due to some errors. One of these errors is iTunes error 11. It could occur due to an outdated version of iTunes, a faulty USB cable or connector port, or an outdated antivirus program. Regardless of whatever reason behind this error may be, there are ways to fix it. iMyFone TunesFix is a professional iTunes repairing software which is capable of fixing all kinds of iTunes issues, including error 11. It is highly recommended that you give this tool a try when you are encountering iTunes error 11. TunesFix has many features that allow it to scan, identify, and fix various iTunes problems quickly. The software is convenient to use thanks to its user-friendly interface. 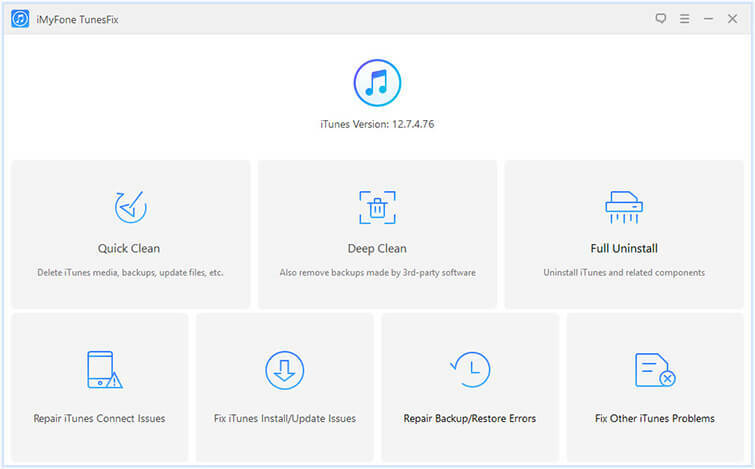 Apart from this, TunesFix has many manual repair modes as well which target specific iTunes-related problems and will allow you to solve the issue quickly and conveniently. Scan, identify, and fix potential iTunes issues automatically upon launch. Fix 100+ iTunes errors conveniently. 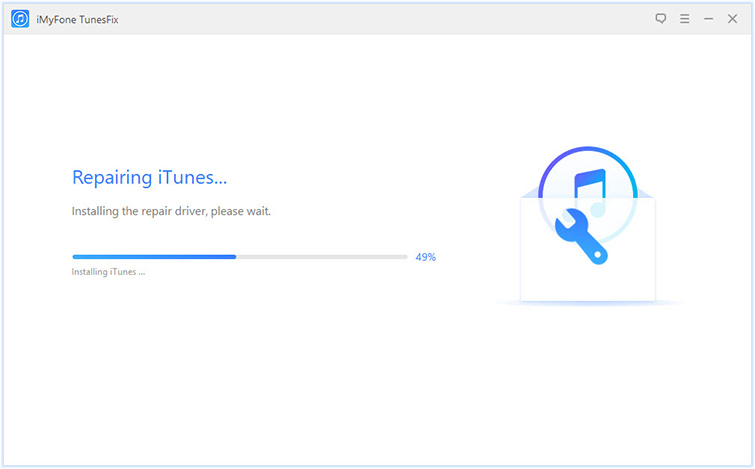 Manual repair modes allow you to fix certain iTunes problems. Boost iTunes’ performance via clean up features of TunesFix. Your data in iTunes library is not lost when attempting repairs via TunesFix. Uninstall iTunes along with all its related components with one-click via its Full Uninstall mode. Step 1: Open TunesFix on your Windows PC. Step 2: Wait for the startup scan of TunesFix to finish. Once the scan is completed, you will be presented with an option to repair an iTunes problem if it is detected. If no issues are found, then you will see the home screen of TunesFix. 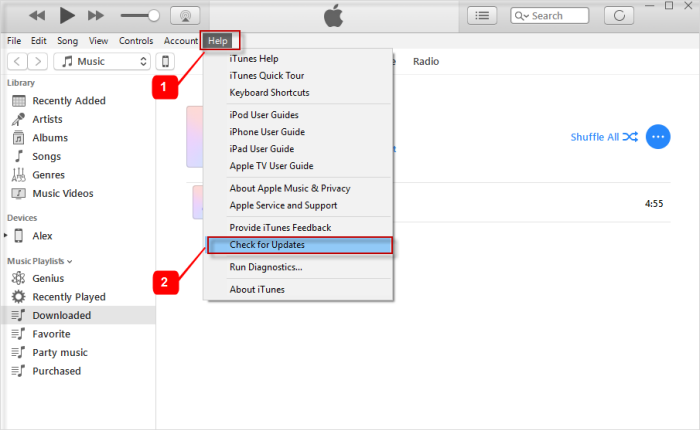 Step 3: Click Fix Other iTunes Problems mode from TunesFix’s home screen. Step 4: Click the Repair button on the next screen. The repairing process will now begin. Make sure your internet connection is stable during the repairing process. Step 2: Navigate to Help > Check for Updates. Then follow the on-screen instructions to update iTunes. Step 3: Alternatively, you can uninstall iTunes completely and then download the latest version of iTunes from Apple’s official website and install it by following the on-screen instructions. 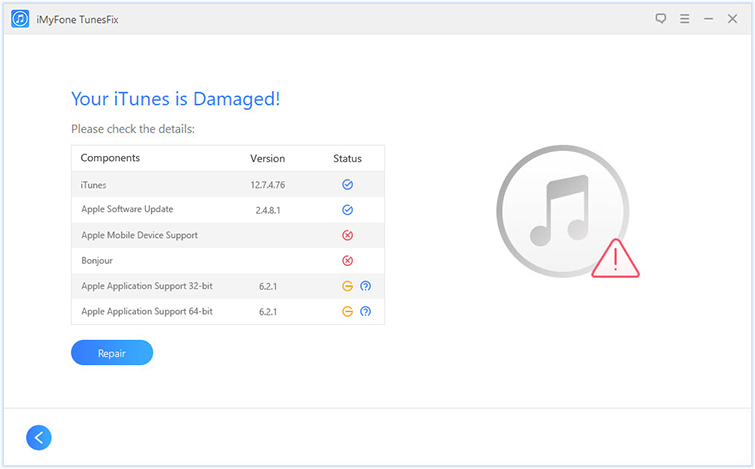 Sometimes iTunes may not work properly due to conflict with other programs, particularly antivirus software. So it would be good idea to disable your antivirus temporarily to see if it fixes iTunes error 11. The process to disable antivirus depends on which antivirus software you use on your computer. Regardless of which antivirus software it may be, it won’t take more than a few clicks to disable it. Once you have disabled it, open iTunes and check whether the error 11 still exists. The problem can also occur if your computer’s USB port or the battery connection is damaged. It is recommended that you inspect them carefully and check whether they are both okay. You should also disconnect and then reconnect the battery if you have the proper tools. Your computer may be having trouble communicating with all the connected devices if there are more than one USB devices connected to it. So you should unplug the unnecessary USB cables before opening iTunes. It may or may not fix the problem, but it is worth a try.